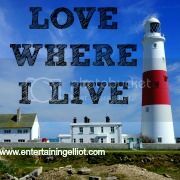 Although we only live a 2 hour train ride away from London, I'd never taken Elliot for a day trip before. The thought of taking the buggy on the tube brought me out in a cold sweat!! 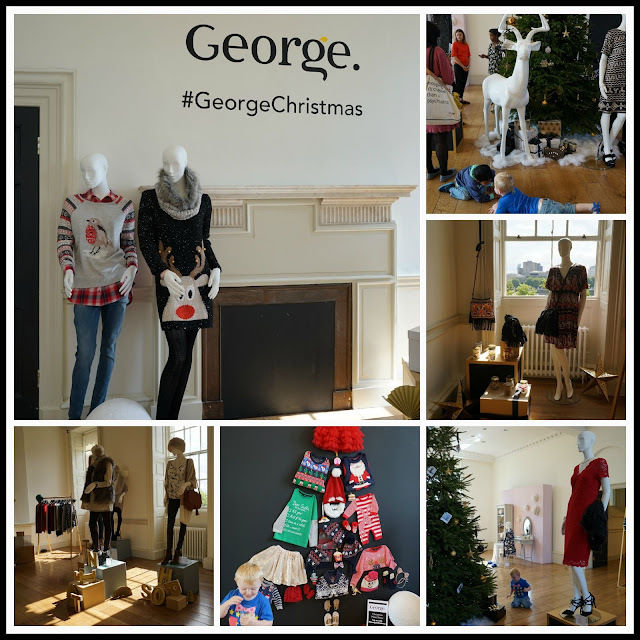 This week though we were invited to the George Christmas press day at Somerset House and I decided to bite the bullet and take him up. I checked the map and realised that I wouldn't actually need to use the tube as Somerset House is walking distance from Waterloo so I had no excuse not to go! We arrived in London just before 11am and made our way to Somerset House.....we may have got a bit lost and by the time we arrived I was feeling all flustered and sweaty but we made it - yay! Somerset House is a stunning venue and Elliot was very excited to see the fountains in the courtyard. We met up with the lovely Sabrina who blogs over at The Mummy Stylist and it was great to meet her and her son Tyler. Elliot and Tyler hit it off and it was cute to see them playing together! There were several rooms for us to look round at the George event - one was all the lovely Christmassy homeware items such as the Gingerbread cookie jar that the boys wouldn't stop touching!! 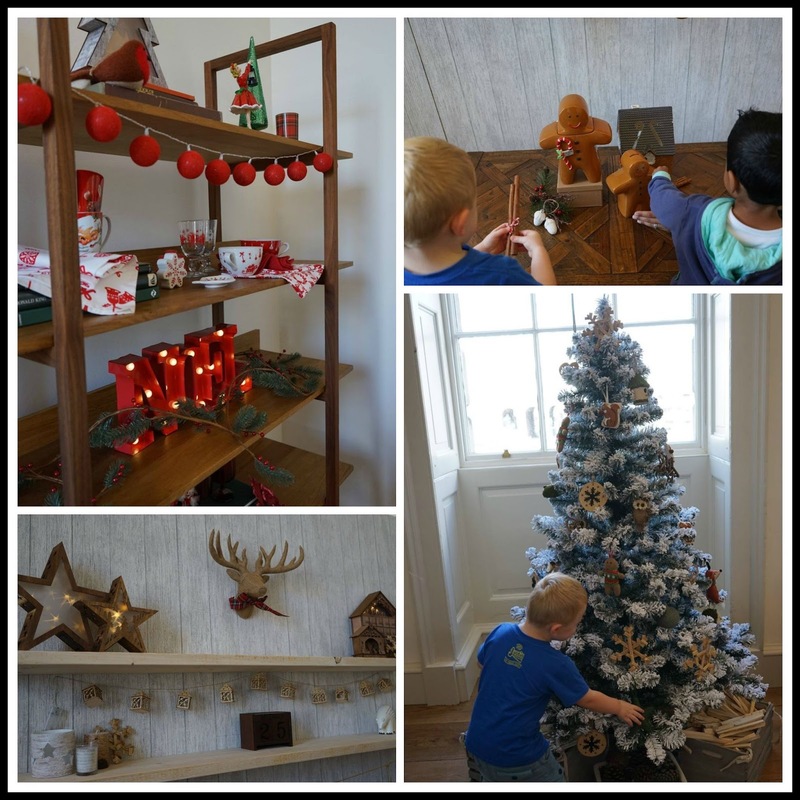 This was probably my favourite room, all the items were lovely and I will definitely be purchasing some for our Christmas. In the main room there were some cute kidswear on show - I spotted a few things that I will definitely be buying for Elliot at Christmas time. I loved the cute little festive sleepsuits but sadly he's way past that age now! I would love to say we had a relaxing time perusing the rooms but in reality Sabrina and I spent most of the time telling the boys to stop touching things!! Luckily the boys were able to get hands on in the craft room where they made a glittery tealight holder. We decided to go and find somewhere to have lunch so we walked along The Strand and ended up at Byron Burgers. Been wanting to try one of these for ages and I wasn't disappointed - could have eaten it again! After lunch we said our goodbyes to Sabrina and Tyler and wandered up to Trafalger Square. Elliot had dozed off in the buggy by now but I did wake him up - he'd been talking about seeing the lions all week and I didn't want him to miss out! 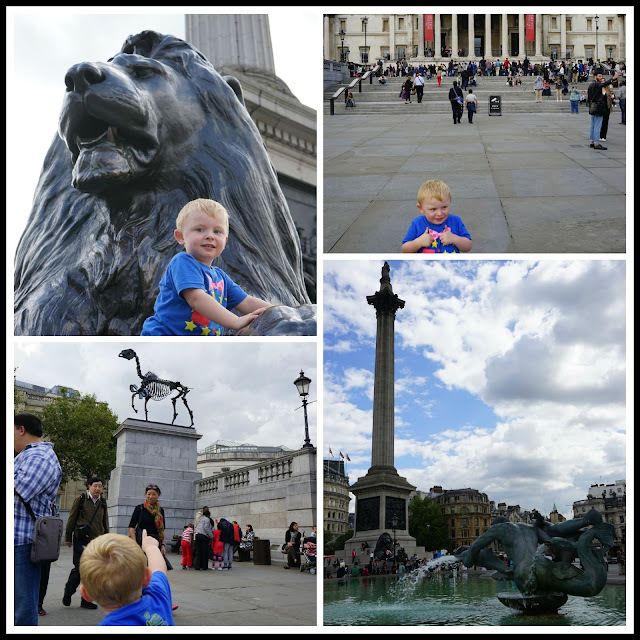 He was very excited to see the lions and even more excited about the dinosaur skeleton on the fourth plinth. Although I've just googled it and it's actually a horse skeleton! A horse?! It looks like a dinosaur!! We headed down Whitehall passing Horse Guards Parade and then past Downing Street. It was very busy with tourists! We then decided to head back to Waterloo so we crossed over and ended up popping out right opposite the London Eye. Elliot was happy because we passed a policeman who said "Ello!" to him! I don't think I've ever seen the London Eye from this angle (other than on telly!) so it was a great spot to get some photos. We walked over the Golden Jubilee Bridge and thankfully there was a lift to get us and the buggy up the steps! Again, lovely views from the bridge but Elliot just wanted to climb up the railings - eeek!!! We had a quick ice-cream stop next to the Eye and then it was time to head home via WH Smiths for some magazines for the journey home. We accidentally ended up in the quiet zone on the train and I had visions of Elliot shouting out "boobies!!!" and annoying the other passengers but luckily his magazine and the free play doh kept him quiet!! Whilst the press event was a little disappointing, it was great to meet up with a fellow blogger and I enjoyed showing Elliot some of the sights of London. Maybe next time we'll be brave enough to use the tube! 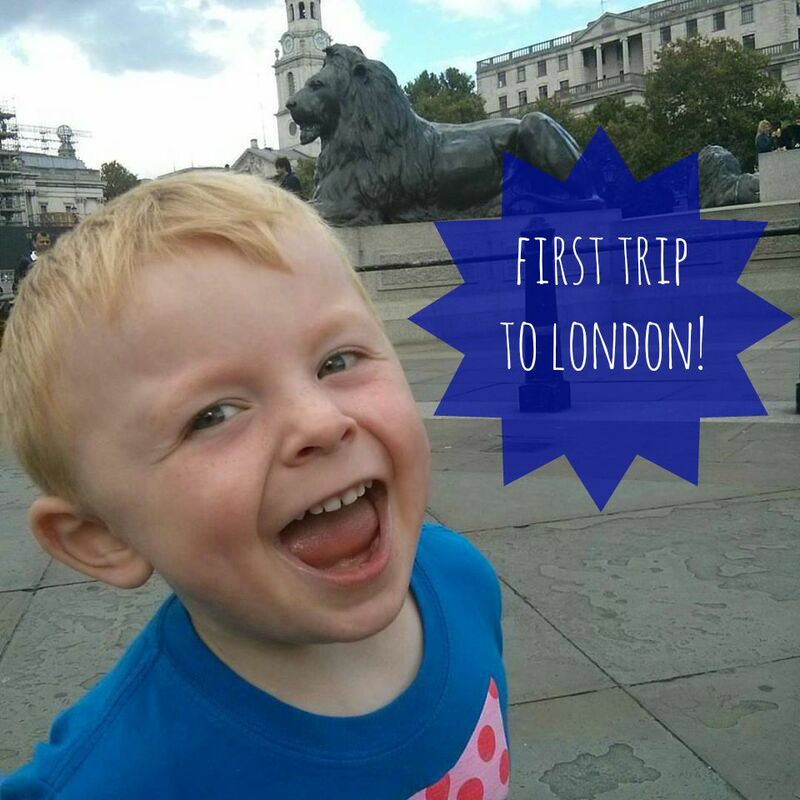 You are so brave taking Elliott to London! I am very impressed!